Ernie Castellano, fast-talking wheeler-dealer kid, has come up with his greatest idea yet: pet funerals! With his pals Dusty (an artist in coffins) and Swimming Pool (one of the world’s great criers, an asset to any funeral she attends) Ernie creates a thriving business—and manages to land himself in more hot water than he has ever dreamed of. 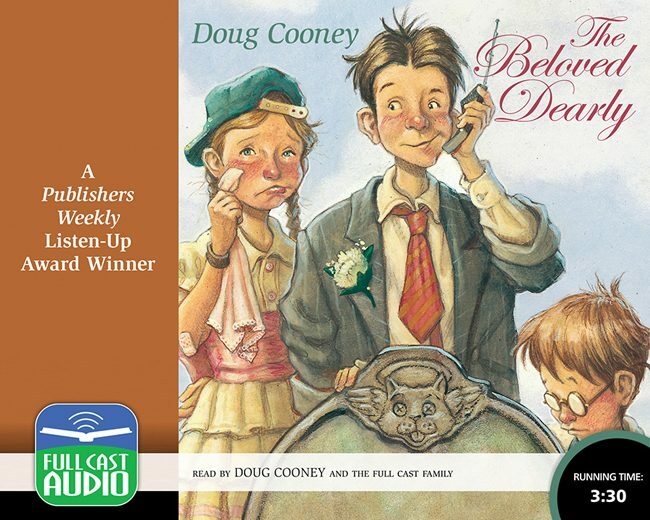 High-spirited, hilarious, and unexpectedly touching, The Beloved Dearly is a sparkling debut for a major new voice in books for young readers. An actor and performance artist himself, Doug Cooney is uniquely suited to narrate this hilarious novel version of his own highly acclaimed play, which was first performed at Lincoln Center. Doug’s recent work includes a screenplay for an animated version of the classic Dr. Seuss film The 5,000 Fingers of Dr. T.